by Kathryn Atkins.In Authors and Writing, Chances, Life, Publishing.Leave a Comment on Book Giveaway! 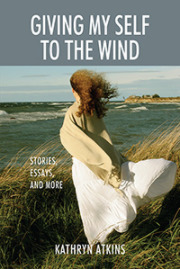 Would you like to read my book, GIVING MY SELF TO THE WIND? If so, you can win it for FREE! Starts in a few days, and goes for a few weeks. Just in time for the New Year.
. . . and receive the gift of love.